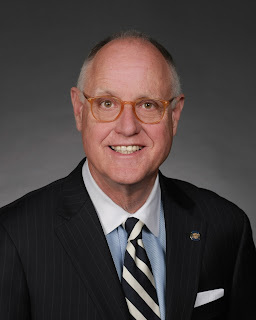 OKLAHOMA CITY – House Speaker Pro Tempore Harold Wright, R-Weatherford, has authored legislation to direct the Oklahoma Secretary of State to refer to the people an amendment to Section 33 of Article V of the Constitution of the State of Oklahoma. House Joint Resolution 1032 looks to amend the state’s constitutional requirement for the number of votes needed in the Legislature to pass revenue raising legislation. Currently, due to the passage of State Question 640, which was passed in March of 1992, revenue-raising legislation requires a three-fourths vote of both the Oklahoma House of Representatives and Senate. Wright’s legislation would change the requirement to pass revenue-raising measures to three-fifths of the Legislature. “This has been the most difficult legislative year since I was elected,” Wright said. “Partly because of two special extraordinary sessions but also because it has been impossible to pass necessary revenue measures to provide for adequate core services in Oklahoma: roads and bridges, public safety, education, public health and corrections. Wright represents House District 57, which is comprised of Beckham, Blaine, Caddo, Canadian and Custer Counties. A busy New Year at Clean Pro!